Commercial Drain Repair and Maintenance Leeds | Powerclean Ltd.
We are one of the longest standing drainage inspection and maintenance companies in West Yorkshire. We service thousands of miles of sewer networks a year. Working with companies large and small to ensure that your waste water systems are in excellent condition before major works begin. We've been working within the construction industry for over 30 Years. We know our side of the business inside and out. And our team of skilled engineers are ready and equipped for any task at hand. We provide free initial consultations and provide RAMs for all prospective works. Affiliated with Construction Line and the Water Jetting association amongst others. We pride ourselves on high standards. Using the latest technology and equipment, we can map out your drain network. Inspecting every inch of its integrity using WinCan software–WinCan is the industry standard when it comes to evaluating and managing Sewer Networks. We are able to collect pipe data for your entire system. 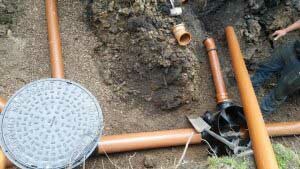 Providing you with visual reports that show the pipe condition for your waste water network. All defects are highlighted inline with guidance from manufacturers and local authority requirements. Powerclean test all drains and sewage systems to the building regulation 2000 Part H drainage and waste disposal. We can also stress test sewage systems on building sites. Before handing over to a client the system requires high pressure water jetting to flush out any left over debris. Followed by a extensive CCTV inspection of the drainage system. We pinpoint problem areas in your waste water network. We document our findings thoroughly and provide a complete report for your team to review. Alongside this we can also execute repairs and maintenance with speed. 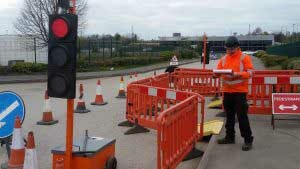 Our rapid response times mean we can be at your site to carry out any work required within 24 hours. Our initial consultation is free and we provide RAMs for all prospective works. Affiliated with Construction Line and the Water Jetting association amongst others we pride ourselves on high standards. Powerclean has a long history of excellence, we’re a company you can trust.